NUNSPEET, The Netherlands – Through its European subsidiaries, Shimano is connecting its dealers in the Benelux countries, France, Sweden, Norway, Finland and Poland with an online order system. This Shimano Order Direct (SOD) system allows dealers to access a server that offers real time information on products, product availability and current prices. Dealers are able to place orders for Shimano and Pro parts and accessories through the SOD system. 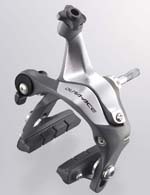 Shimano’s Order Direct system is operated by Shimano Benelux at www.shimanoshop-eu.com where dealers can select their own language. As an incentive to use the online order system, dealers get one percent extra discount on all SOD orders. As a bonus, Shimano also offers special bargain sales which can only be ordered through the SOD system. A special feature of SOD makes it much easier to find the right Shimano spare parts. By using interactive exploded views, dealers are able to select the right parts and are no longer obliged to work their way through long lists of spare part numbers. Orders can be placed by simply clicking on the desired part in the exploded view. Today Shimano is worldwide introducing the new Dura-Ace 7900 series that sets a new benchmark in top-level road racing components. Shimano has combined all of its engineering resources with the latest technology to realize an increased level of perfection that will benefit professional riders as well as road racing enthusiasts. Besides offering a further improved performance and an attractive design, the weight is reduced significantly. This week Shimano has introduced the new Dura-Ace 7900 series (see photo) that sets a new benchmark in top-level road racing components. Shimano has combined all of its engineering resources with the latest technology to realize an increased level of perfection that will benefit professional riders as well as road racing enthusiasts. Besides offering a further improved performance and an attractive design, the weight is reduced significantly. To read more, click here.